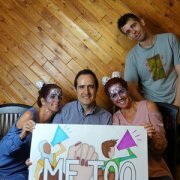 Welcome to #MeToo Our story documentary. When I first heard about twin sisters Nicole and Johanne, I was immediately drawn to their story. I knew I wanted to direct and produce a film about these brave women. 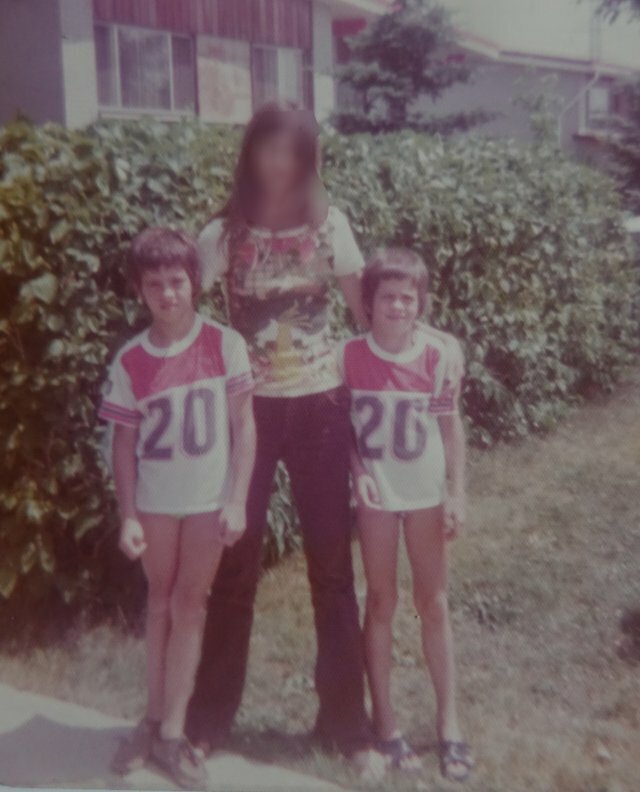 They offered me a chilling testimony of the sexual abuse they suffered during their childhood, and the underlying impact on their lives ever since. We decided then to make a documentary based on interviews. And we did. But now comes the hard part. The postproduction. And in order to make a professional product we need your help. We need to pay for the editing, sound mixing, music, color, design of the graphics and cover. On top of that we want to spread the word and send it to many festivals. So we can encourage as many people as we can to stop sexual abuse. And film festivals have a fee. Nicole and Johanne are preparing for the Montreal twins parade, an annual celebration that is very significant for them and their story, especially this year with the rise of the #MeToo movement. While they prepare their costumes they begin to talk about their mother and a time in the 60s, when a young woman becomes pregnant by accident and decides give up for welfare her twin daughters. After four years hopping from one foster family to another, the twins are are claimed again by their mother, and the girls are happy to return. The mother is unemployed and lives scarce life, so when she meets a new boyfriend, Roger, he is able to offer them economic stability and a life the twins could only dream of. However, everything seems to come with a price and a story of sexual abuse and secrecy begins for which the ramifications will still be visible 40 years later. We will have the movie ready for Spring 2019 and we want you to come to the screening that we are organizing for MAY2019 in Cinema du Parc. 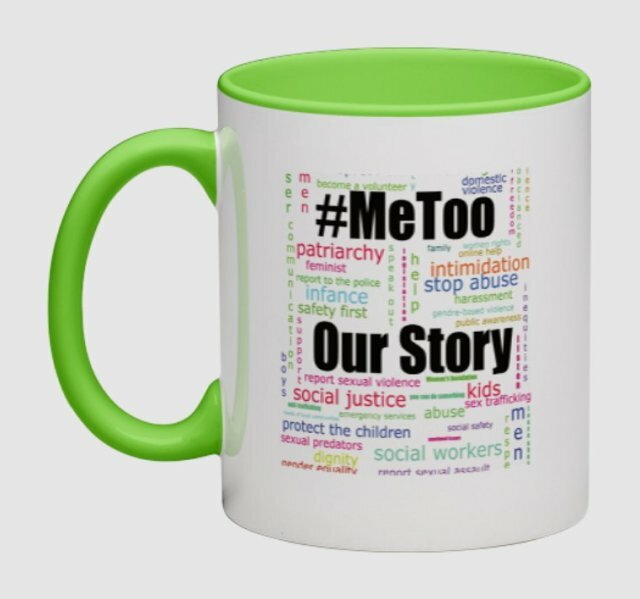 "#meToo is global community of survivors. 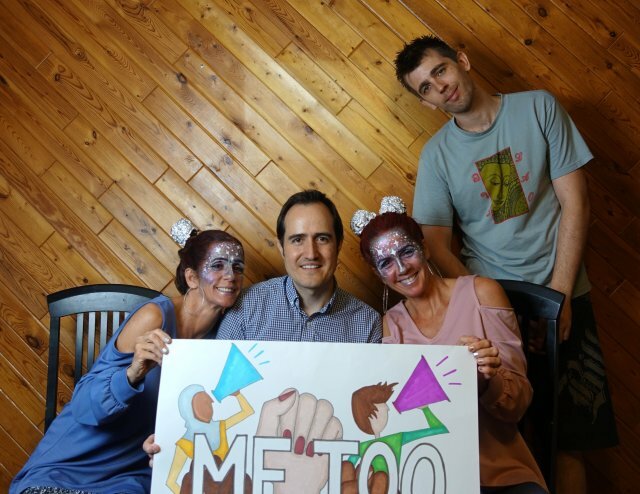 It´s a mechanism for action, for empowerment through action"
#MeToo spread virally in October 2017 as a hashtag used on social media in an attempt to demonstrate the widespread prevalence of sexual assault and harassment, especially in the workplace. Since then a lot of progress has been done for women. But this is just the start, we need to keep fighting to reach the same rights for women and men. Right NOW–– Please share a link to our Ulule Campaign as widely as possible with your network of friends, family and colleagues on — Instagram, Facebook and emails. Right NOW–– Please like us and follow us on Facebook and Twitter and share with your friends and followers to help spread the word. -Digital copy of the documentary that you can download and watch. If you become a backer, we will make you part of our team, give you a behind-the-scenes look into our process and you'll help bring this story to a wider audience since we will reach many film festivals with your help. And also for film festival fees. Juan Sepulveda ( born in Valencia, 1982) is a spanish writer primarly known for the series of comic books "Six faces of dice" published by the canadian publisher Studiocomix Press and the homonym book "The six faces of a die". His latest work has been the screenplay and graphic novel "El Violeta", the short film "Lily Polanski" (which he wrote and directed) and the series of books “Diario de un español por el mundo”. After working in the heart of the London SOHO Post Production industry for 5 years and get a film Degree at University, I decided to travel and ended up working in Beijing and Shanghai for some of the leading Tech and Automobile brands across Asia. After a few years and a heap of exceptional experiences culminating in a huge role in the Huawei 2017 conference expo in Shanghai, I moved with my partner to Montreal. Now I spend my time developing new film projects and documenting Montreal’s Arts and Music scene. Our love and gratitude and project updates (if you want them!). We couldn’t do this without you and appreciate your support. Yes I want to support my friends! I´m gonna support my friends and get a digital (link to download) copy of the documentary. Digital copy of the documentary and your name on the credits! you are supporting your friends and being a credited producer! -Digital copy of the documentary. -Your name on the credits. -VIP seat in the Montreal screening (will take place in may in cinema du parc). -VIP seat in the screening.